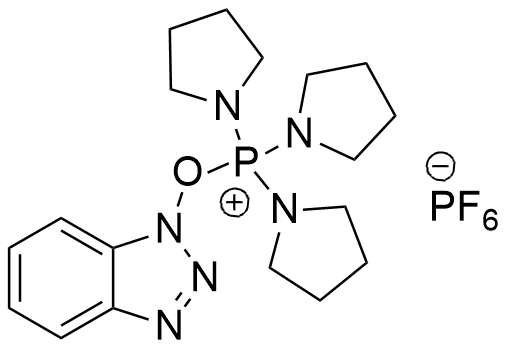 Analogue of the BOP coupling reagent which does not form carcinogenic HMPA as by-product. May be used in place of BOP in peptide synthesis without loss of coupling efficiency. Coupling reactions are rapid, being nearly complete within a few minutes. Especially useful for cyclization steps for the activation of hindered amino acid. J. Coste, D. Le-Nguyen, B. Castro Tetrahedron Lett., 1990, 31, 205-208.